Art is something that is used to paint a picture, in front of our eyes. 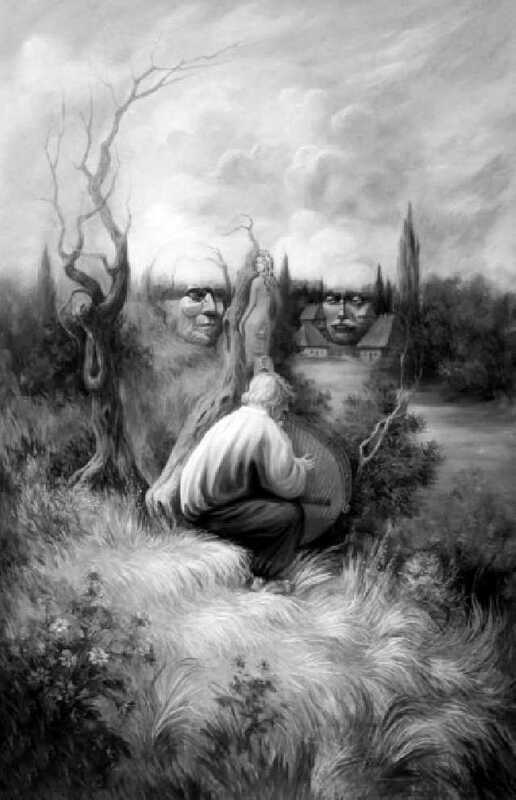 Some seem to be what they actually represent within the picture and at other times that is not all that there is in a painting, for it has a deeper meaning hidden within. We went in search of such arts that tried to depict something more that mere landscape or people. Arts that probably tried to say something more than what met the eye. So we have rounded up a set of such art that make you wonder if there is a story behind the depiction of the subjects of the painting. 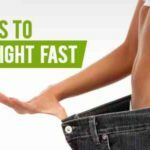 Make what you can of these! 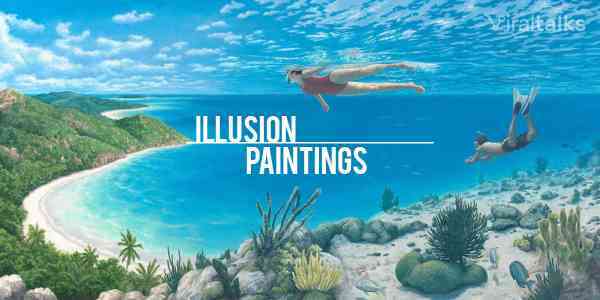 Also Read: 9 Crazy Optical Illusion that will Certainly Question your Sensibility! 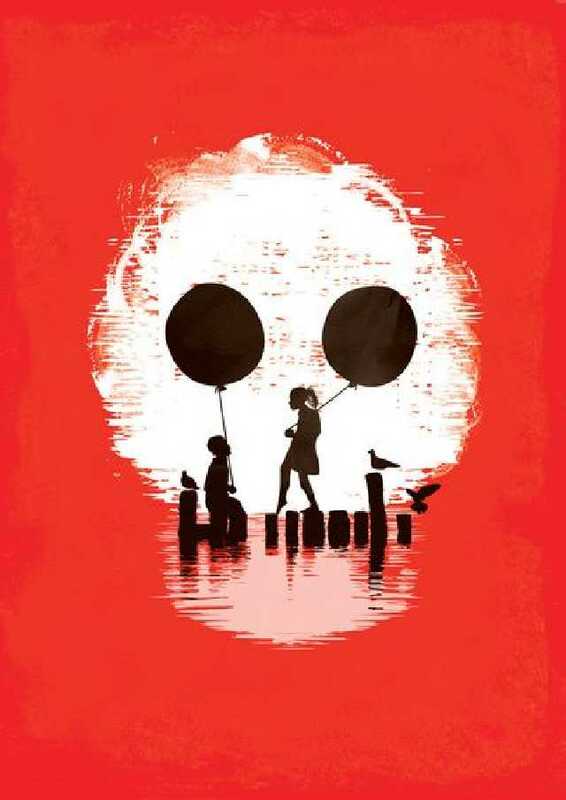 This one might seem like two kids playing with gas balloons at first, but the big picture depicts the pitfalls of the world, which are probably not all that simple and childish. The kids can't wait to grow up, but to the world that isn't all just eating candy and going on rides. This might be telling us that the little boy who is making the picture of the house grew up to be the man whose face the entire art shows. 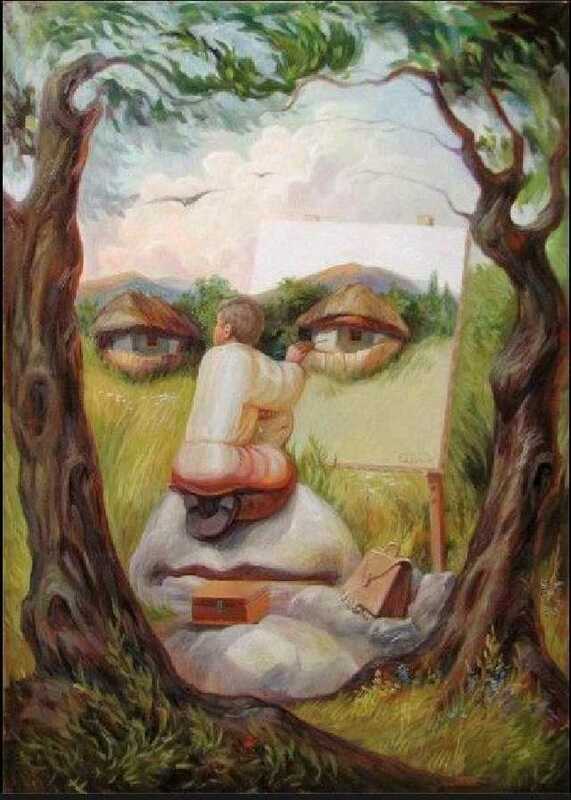 Nevertheless, a great use of landscape to create the face. 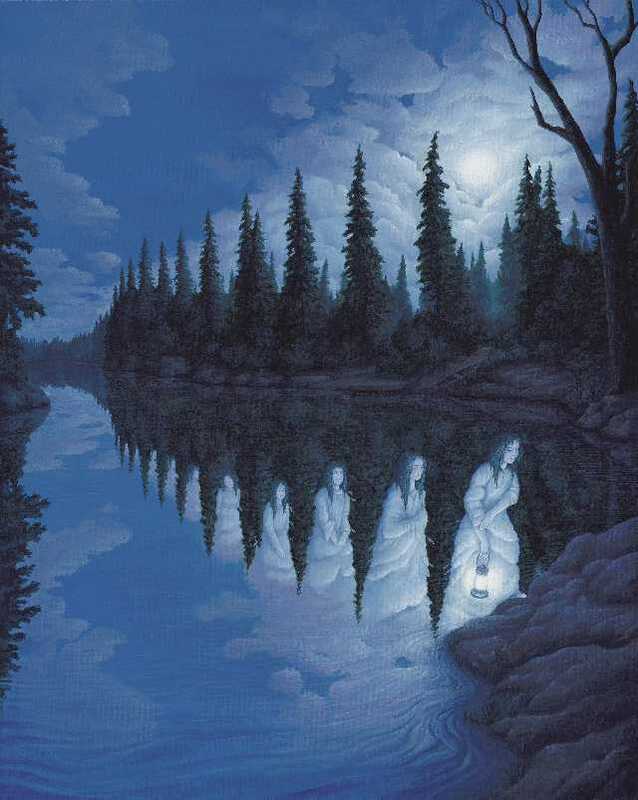 This might be a depiction of some old wives' tale of a woman, who appears out of still waters, every full moon night. She comes in search of her long-lost love, whom she had to part ways with many moons ago. 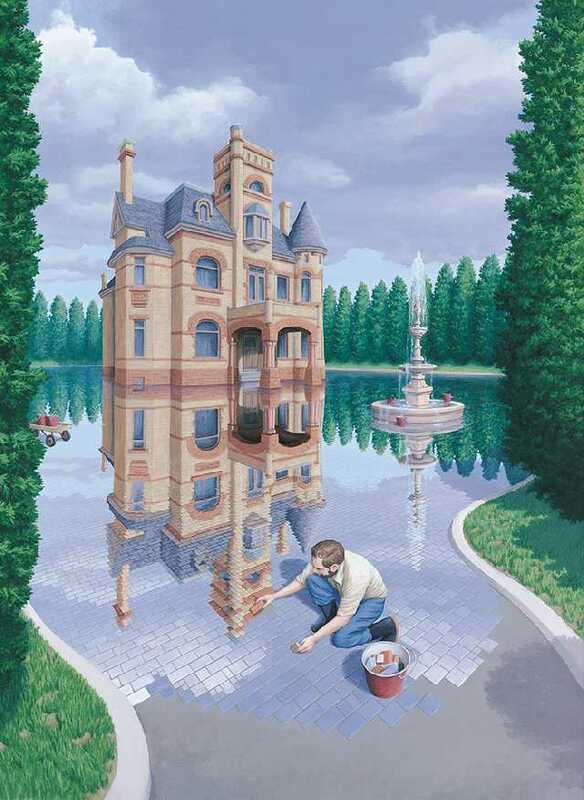 It might seem like a house that is built on water, but what the artist is going for is, the dedication and the excellence with which the worker is building the house, makes it look extravagant and stunningly beautiful. 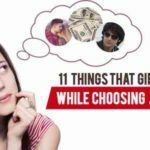 Everybody dreams big, they dream of setting down in a big city, with a high-paying job, a big, lavish house and a nice car to drive around in. 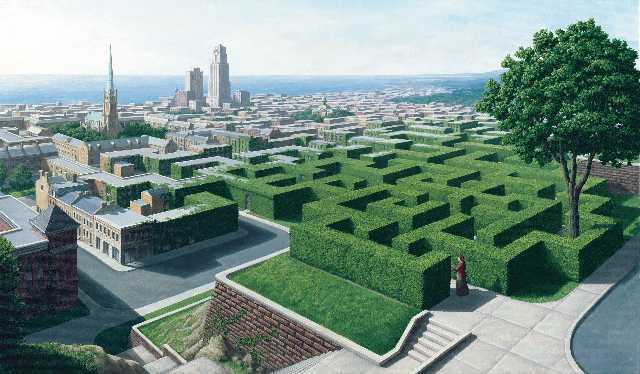 But most fail to take into account that all that is possible only after wading through a huge maze of errors, woes, hard work and that it isn't plain sailing at all. 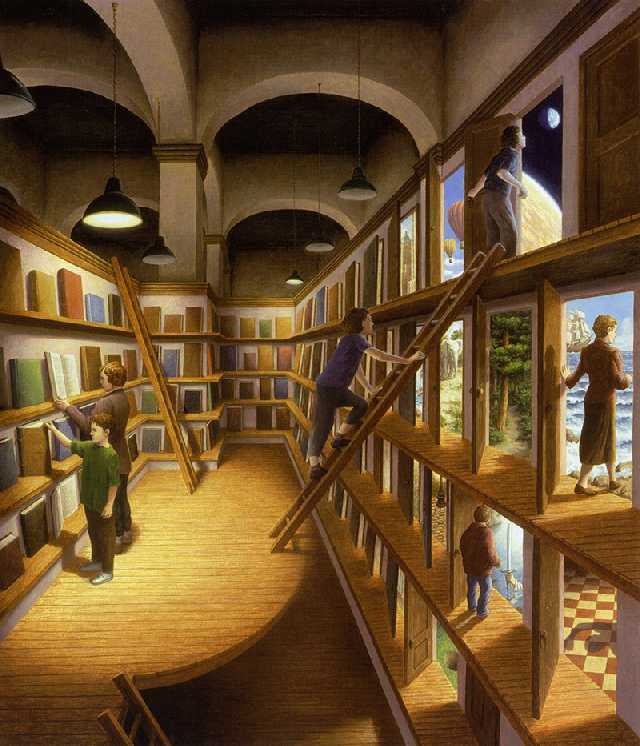 The books contained within the library, all of them, tell us different stories, transporting us to the very worlds they depict. This fact is represented in the form of the people climbing ladders and opening doors that are gateways to their dream worlds. A nice little depiction of how a teacher would explain to the kids about the Sun's rays meeting the earth's surface and supporting life. 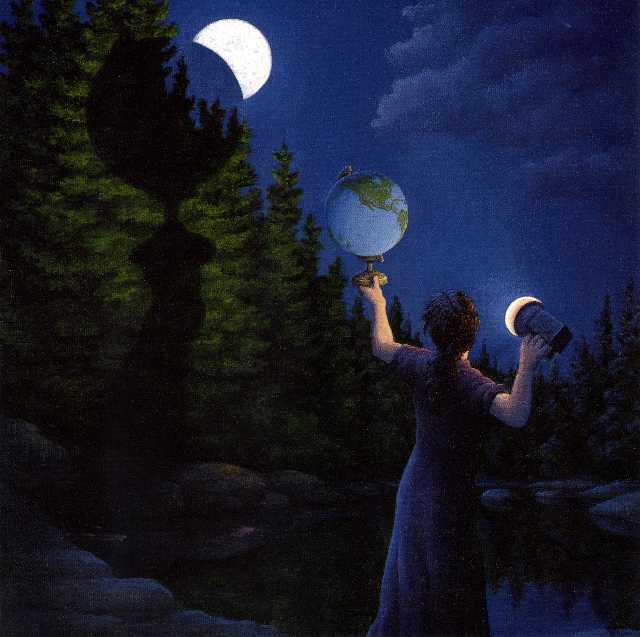 The illusion of the Moon being a collateral of the rays from the woman's torch is shown brilliantly here. 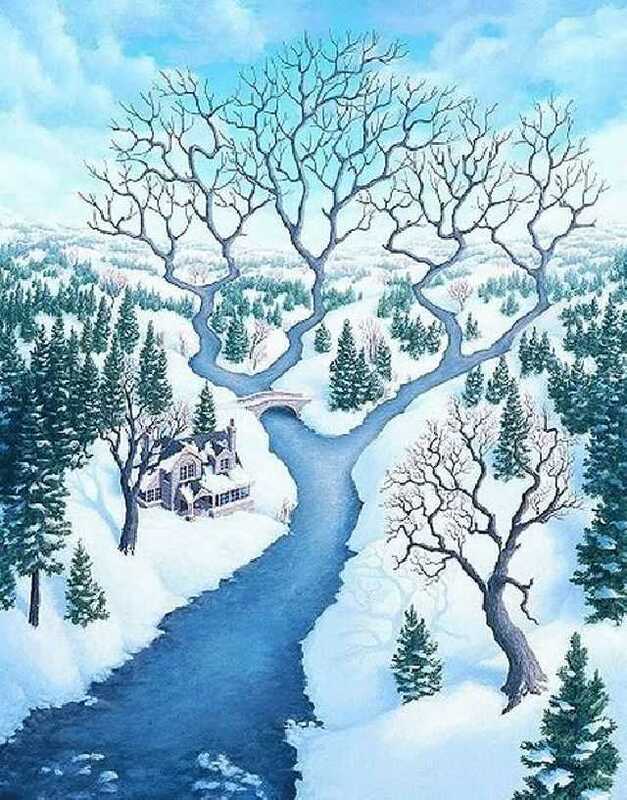 Our eyes get thoroughly fooled by this image. 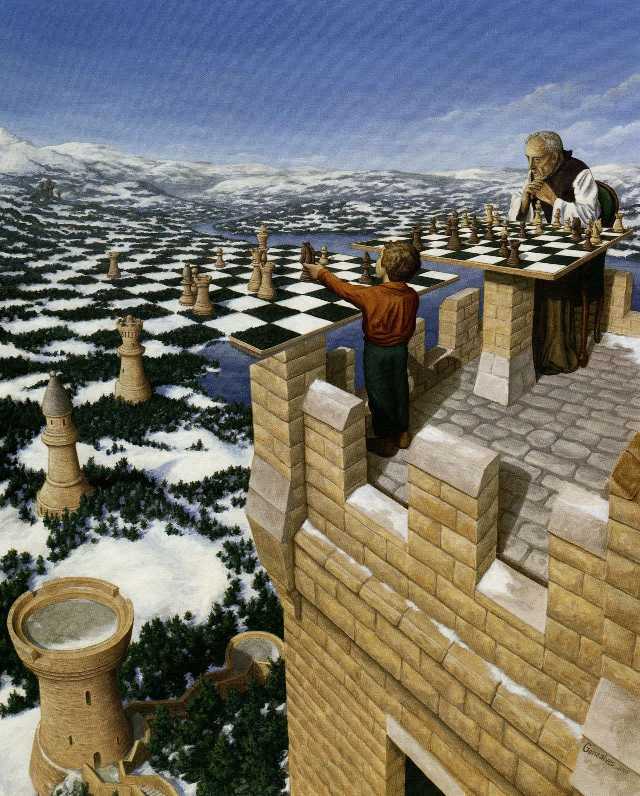 The kid is standing on one of the pawns while attempting to play chess with his elder on a smaller board and still is attempting to move the pawns, that are the other buildings. Which might be a not so subtle message to us that life is a game of chess. We all know what a genius Einstein was. 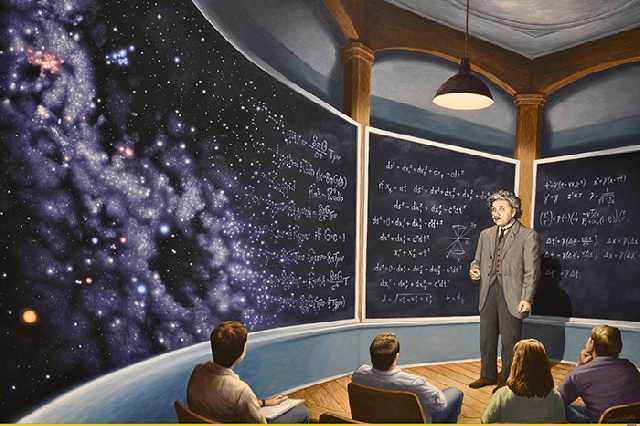 What this painting of him teaching the young minds depicts is the direct correlation of his findings and lessons to interstellar theories. Those theories which no one has been able to better even today. 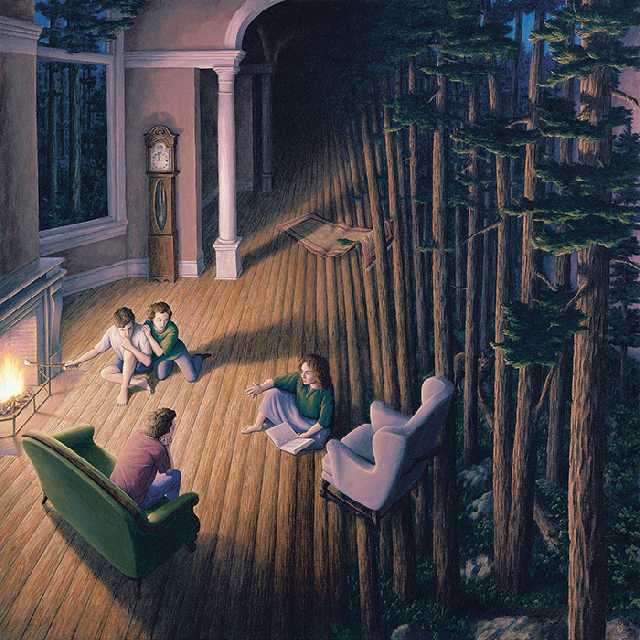 This painting is a clear depiction of the trees that give us so much, right from the oxygen that we need to survive, the firewood that is needed to keep us warm, the timber that we use to build our houses etcetera, and in return we only need to not cut them down for our selfish needs. What seems to be the pieces of the puzzle that complete it, aren't exactly doing that, or are they? 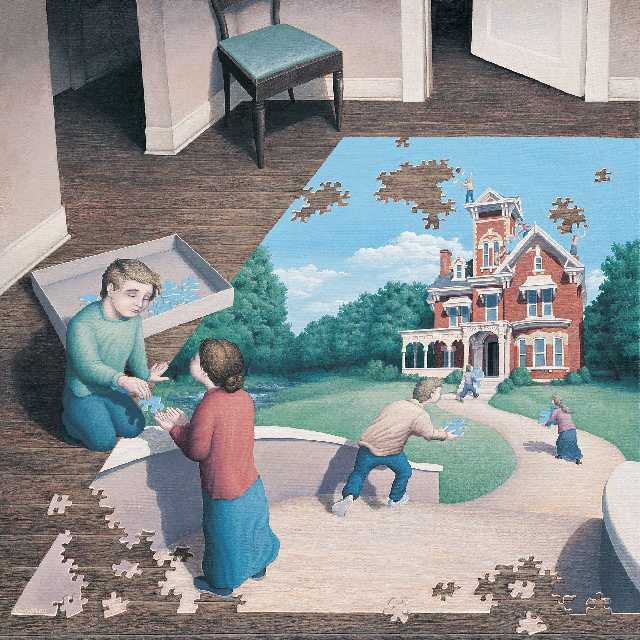 We see a young boy atop the house completing the puzzle, while the other kids are bringing the pieces of the puzzle from outside of it. 13. Water to the trees? 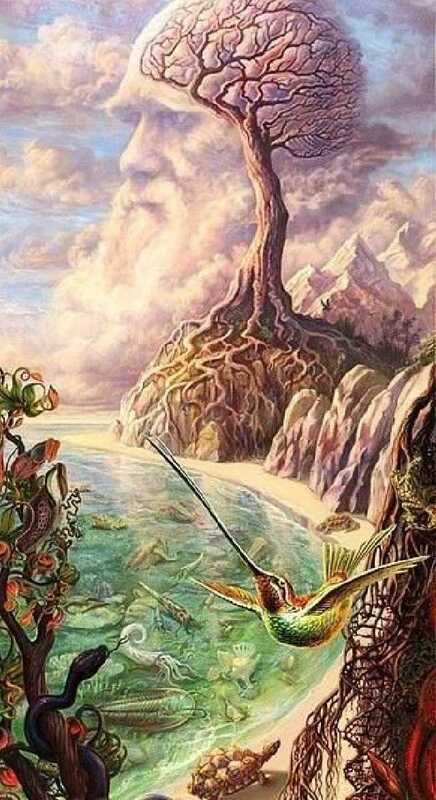 What is so elegantly represented here is that water is the source of all life. It sources the trees which in turn give the rest of us oxygen to breathe and live. 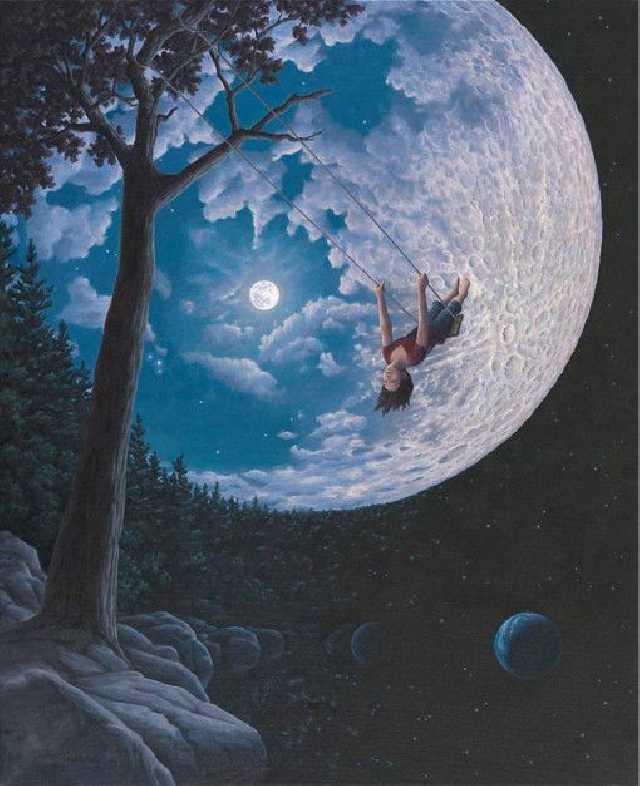 Is the kid swinging towards the moon? Is the tree rooted on the Earth? Is it the edge of the world? Everything is left to your imagination! 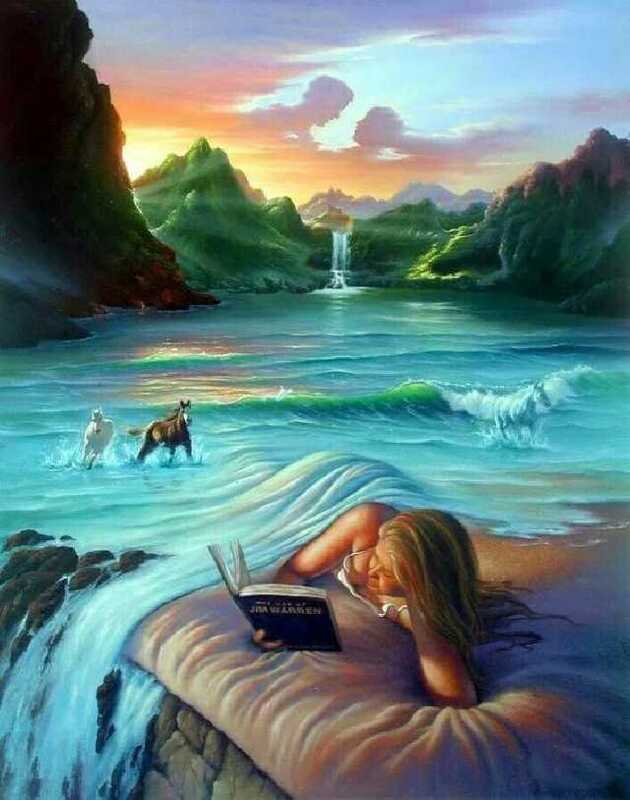 The woman who is resting on her bed reading would surely be transported to the fictional world of the book that she is so immersed perusing though, and a small depiction of the same is made with horses running around in a beautiful backdrop that has mesmerising waterfall and mountainous landscape, complete with two lovers on the sky. 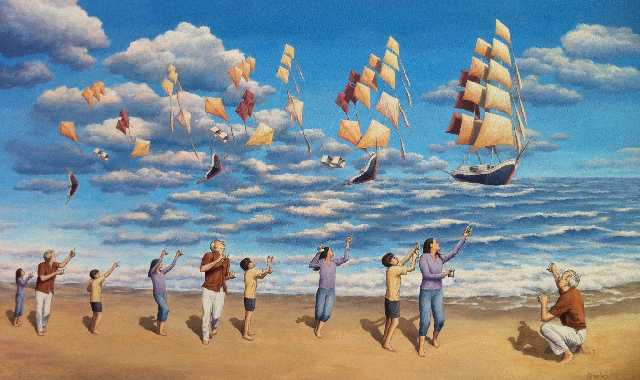 This painting reminds us that all of us are connected in one way or another, like the links of a chain! Right from the most primitive organism such as bacteria to the most advanced being that is a human. 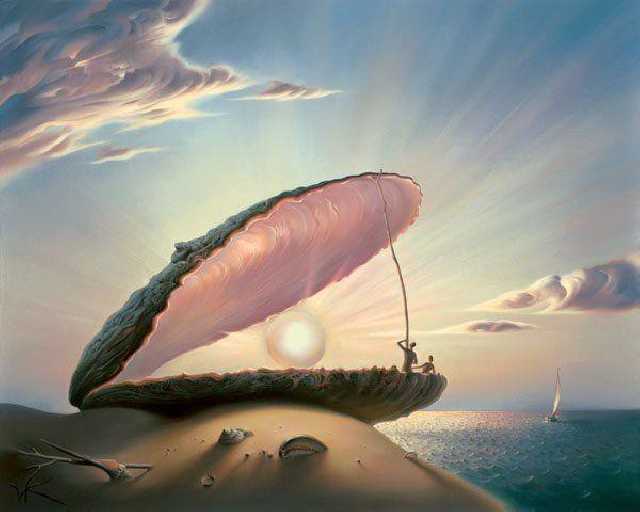 The pearl that resides within an oyster's shell is so beautifully depicted to be the glowing Sun. The humans, however, like the parasitic organisms we are, need every resource possible to survive. 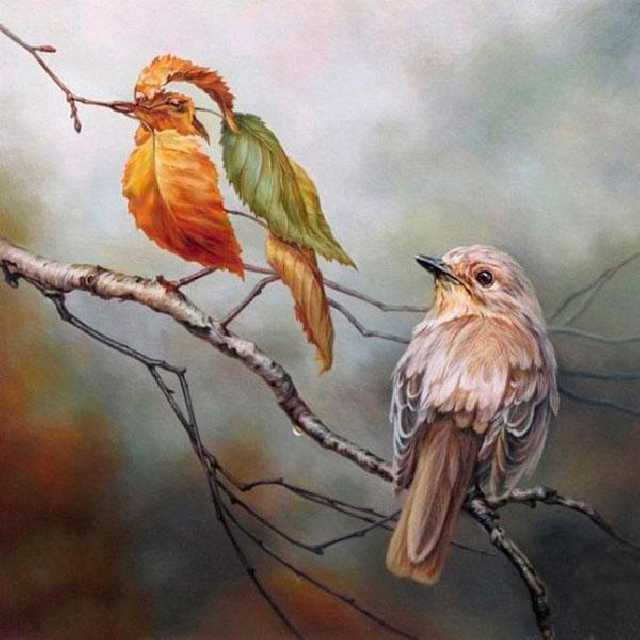 This is a depiction of a swallow and its lost partner, whom the swallow fashions to be out of leaves and branches. This picture depicts an old man who is recounting to himself, the good old days that he spent with his beloved ones after he is the only one to be left all alone, due to separation, playing away on his harp. Even the angels aren't spared from the sin that is, lust. 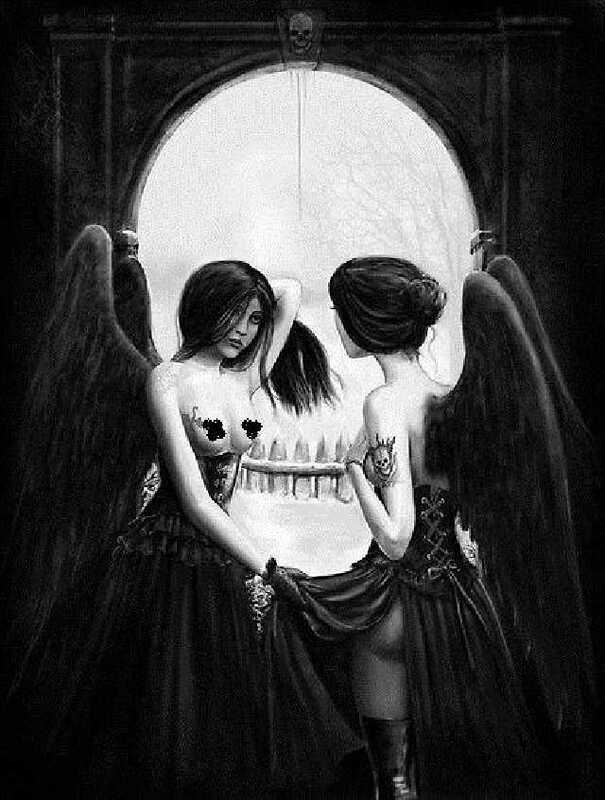 The same has been depicted by the formation of a skull by the actions of these two angels. NOTE: The opinions given below the paintings are the author's and not the artists' who have made the painting. Do let us know your opinions of the article below in the two reaction sections.